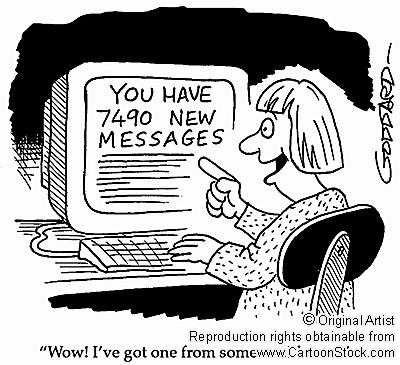 There was a time--2004 to be precise--when spam "only" consumed 70 percent of all e-mail. Those were the good old days. Today, as Barracuda Networks' annual spam report shows, upwards of 95 percent of all e-mail is spam. In 2001, the number was 5 percent. What is to be done? I suspect, as Dana Blankenhorn has written, that the spam problem is not an individual's problem. It's a community's problem and, hence, a community response is arguably the best way to resolve it. There are interesting open-source projects that leverage the power of community to identify and block spam. But what about adding to this with a social-networking approach? I've written before about the role one's address book could play in building online trust networks, and how these same networks could be used to block spam. Following the six degrees of separation argument, I could presumably create a massive "white list" of allowable e-mail senders by linking my friends (and their friends, and their friends...) Everyone else? Blocked, until they become part of the network. The point is that collective intelligence is likely better than an individualistic approach to combating spam. When we start pining for the "good ol' days" of junk mail and telemarketing, we clearly need to find solutions. Filtering probably isn't going to cut it.